At Raceway Kia, we are always in need of the best quality pre-owned vehicles for our inventory. 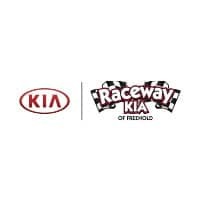 If you’re thinking about an upgrade to a new(er) vehicle, Raceway Kia is ready to make you a deal. 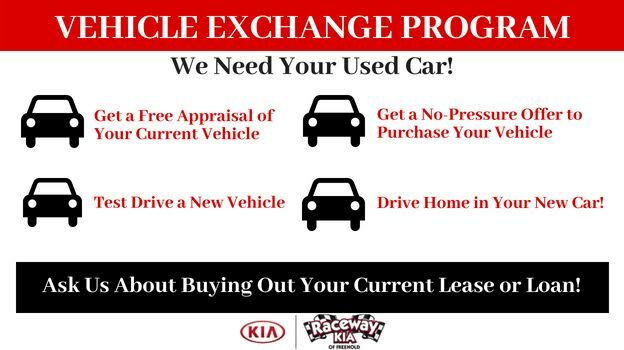 The Vehicle Exchange Program at Raceway Kia simplifies the process, making it easy for you to trade in your pre-owned car, truck, SUV, or van for a brand-new Kia or another, newer pre-owned option. We’ll help you find the financing, pricing, and qualifying incentives that combine to give you the best deal possible. We want to earn your business by giving you the best possible experience at Raceway Kia. When you schedule a service appointment, let us appraise your vehicle!